I had so many comments and requests for the recipe for the lemon tarts that I decided to post it. It seems there are a lot of lemon lovers out there.The risk is now you'll all know how easy they are and I'll lose my "baking genius" reputation. Oh well ...such is life. I love lemon tarts but had never made my own before last weekend. Like a complete sap - I was tripping down to Assaggio twice a week like a crack addict to get my lemon tart fill. Not anymore. Sift the SR flour , plain flour and sugar together . Place in a food processsor with the butter and process until it resembles fine breadcrumbs . Add the egg and process until it clumps together. If you're doing this process by hand rub in the butter with your finger tips then add the egg and mix well. Knead it into a flat ball then wrap in plastic and pop it into the fridge for an hour. Some people would call this cheating. I call it superior time management. And it will save you getting your food processor dirty, and flour on your bench and crap under your fingernails. And if the universe didnt want you to use ready made pastry it wouldn't have allowed it to be invented. So there. And if I hadn't just dobbed on myself you never would have known that I copped out and used stuff from a packet. Discover at 9am on a Sunday morning you have a 1 cm square piece of butter in the house. Send hapless husband (who didn't put butter on the shopping list when he used the last 250 grams) down to the convenience store to buy some. Why would you need to buy from the convenience store? Because the normal shops don't open until 11 am Sundays here in order to enable everyone to go to church or sleep off their hangovers. Remind husband to steal a lemon on the way back, from the old guy round the corner that has a lemon tree that overhangs the footpath. Remind youself you really must plant a lemon tree. When your husband returns from a 30 minute hunt for butter assume an injured air because he just paid $8.00 for a pound of butter. Convenience is expensive. Mix together the egg , extra egg yolk , lemon juice and lemon zest in a saucepan. The original recipe didn't mention where to add the sugar so I just guessed it went in at this point. Place the saucepan over medium heat and add the butter, stirring continuously until the mixture thickens and becomes translucent. Yes that's right- Stand there stirring until you develop muscles in your arm that look like Popeye's. Apparently this step takes approximately 10 minutes but it will feel like hours. Vow never to make bloody lemon tarts again. Review dreams of becoming the Australian version of Pioneer Woman because this baking caper is hard work . Remove the saucepan from the heat while you're ruminating on another career choice that will make you famous. Once the mixture has cooled slightly transfer it to a bowl and cover it with plastic wrap and stand to the side until it cools completely. Pre-heat your oven to 180 C and grease a 12 hole tart or muffin pan. Remove the dough from the fridge (if you're not cheating like me ) and use a rolling pin (wave this in the general direction of your husband for fun and to watch him flinch ) and a floured board to roll it out to a 5 mm thickness (The original recipe said to roll it out to 5 cms but that just doesn't seem right does it?) Cut 6 cm diameter circles with a fancy schmancy cookie cutter so you have pretty edges and put them in the tart or muffin pan and prick the bottoms to stop them from exploding in your oven because that stuff sets like concrete and cleaning your oven is going to cut into your quilting time. Place the tart shells in the oven and bake for about 10-15 minutes or until golden . If they end up looking slightly mutant it's OK because you can hide your mistakes with filling. Take them out of the tart pans and let them cool completely on a wire rack. Spoon the lemon filling into each pastry and sprinkle with icing sugar. Wait for the compliments to flow. Hide at least 6 in a secret spot so you can eat them at your leisure. Let everyone else fight over the remaining 6 tarts. Enjoy! You should write a recipe book, so funny! I use the same recipe as you for my pastry. Imagine if you planned to cook risotto ( stir, stir, stir) for the main and lemon tarts for dessert, then your arm would really fall off. 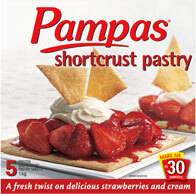 Yummmmmmm.......you can even buy ready-made pastry shells in the freezer section too, if you want to really skip this step. Ooooh, yumm! I definitely would like to try this! They look divine, but I'm from the US, and we measure... I have no idea how to translate your recipe to cups and teaspoons. And what is castor sugar? Is it white crystals made from sugar cane? I can figure out the 5mm by using a ruler, but I have forgotten the conversion formula for C to F (can't spell very well either)... I am doomed. But then I'm not supposed to be eating anything sweet since I'm diabetic, so really you saved me! Thanks Shay, for the very humerous and entertaining recipe, and the carbohydrate savings! I'm not even going to read that post I can feel the weight going on just looking at the pictures love lemon tart more than I can say. You are a goddess ........... sharing,making,cooking Nigella look out. I can attest to Amanda's love of all thing's lemon. Looks yummy. 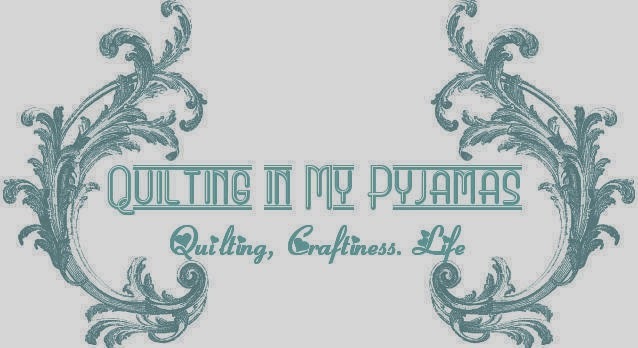 You really should write a cook book, "Cooking in your Pyjamas" sounds like a good title. After going to all that trouble I would want them preserved for posterity. Your talking to someone who declares a packet cake mix "baking" and don't anyone try and tell me it's not. Thankfully I produced a daughter who can cook (don't know how...freak of nature)so she will love the recipe. Many thanks. It does sound easy, and I like the ready rolled pastry. May just need to make some for me! Did you put some in my package?? They look drool-worthy, but you lost me at "pastry"....baking is not my forte! I didn't ask for the recipe; not because I didn't want it but because I figured I would probably make a dozen and eat 11 before the rest of the family realizes it .. however, I may break down and try it anyway. It will test my math skills, (just like quilting) but I like that .. there is a reason we take algebra and other advanced mathematics in school. Thanks for sharing the recipe and I still think you are a "baking genius". Yummmm, best recipe I've ever read. Full of helpful tips. You really should write a cookbook. You just don't want to go on tour though to promote it, you might actually be expected to cook something. I vote for (I was going to say weekly, but that would be hell for you) how about monthly recipe please Shay. lmao at Rachael's comment on risotto and lemon tarts, that would involve workers comp! Wonderful recipe. "Himself" loves lemon pies and given that we just celebrated our 42nd anniversary, I will treat him with a dozen of your fabulous lemon tarts when he returns from his 5 day kayak trip. Merci, Mon Amie! Thanks! OMG they look good...and you've really got to love Jennifer, ready made pastry shells...excellent tip there!! Who the "!?$&/?! gives recipes using GRAMS!?! Where's a conversion chart when you need a good lemon tart? Now I know how you feel when I post recipes in American.